As protracted warfare continues in southern Philippines between government forces and militants linked to the so-called "Islamic State" (ISIS), fears that the US is leveraging the terrorist group far beyond Syria and Iraq where it was created are rising. Nations opposing or obstructing US interests beyond America's borders now find themselves likely targets of this covert form of armed coercion. 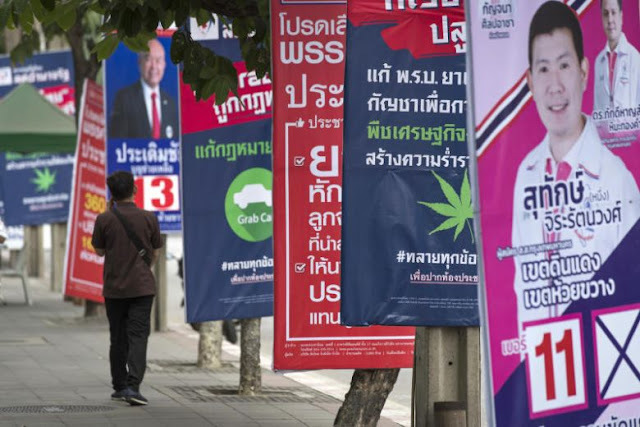 Since then, Bangkok has definitively shifted further away from Washington's influence, toward Beijing, Moscow, and virtually any other nation-state that can provide Thailand with alternatives to Washington's monopoly on geopolitical, economic, and military influence. Much of Thailand's military inventory - for decades consisting of US hardware - is now being replaced by a combination of Russian, Chinese, European, and even domestically developed weapon systems. These include orders of Chinese main battle tanks, Russian helicopters, Swedish warplanes, and both armored personnel carries and rocket artillery systems developed by local industry. 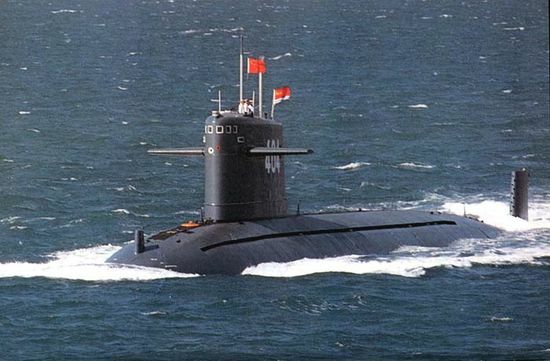 More recently, Thailand sealed a significant arms deal with China for the purchase of the Kingdom's first modern submarines. In total, three submarines will be bought, enhancing Thailand's naval capabilities across the region - and more specifically - drawing the navies of Thailand and China closer together in both technical and strategic cooperation. In nations like Myanmar where the ruling party is already a long-supported US client regime, pressure is placed upon it through the exploitation of human rights advocacy when it is perceived by Washington to be tilting too far in Beijing's favor. As these methods of coercion become increasingly futile, the US has also pursued more direct means of coercion - terrorism. Also increasing across ASEAN is the presence of the so-called "Islamic State" or ISIS. As Indonesia continues its own pivot East, it has been targeted by terrorists allegedly from ISIS. An attack in Jakarta in 2016 followed the nation's decision to favor Chinese firms in the construction of additional national railway systems. In the Philippines, ISIS violence has transcended mere terrorist attacks and has manifested itself as protracted warfare over the fate of Marawi City in the nation's south. And while US and European media sources openly admit the expanding presence of ISIS in Asia - they categorically fail to point out the otherwise illogical nature of how they explain this expansion. ISIS is - according to Western narratives - inexplicably able to maintain its fighting capacity in Syria and Iraq against a coalition consisting of Syrian and Iraqi government forces, backed by Iran, Russia, and auxiliary forces drawn from Lebanon-based front, Hezbollah. 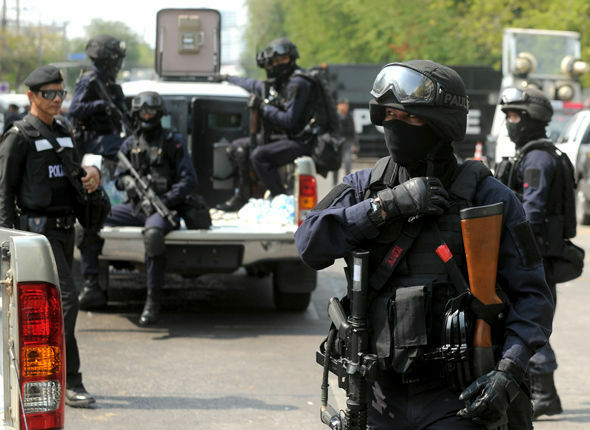 ISIS is also inexplicably able to project its militancy internationally - carrying out attacks worldwide, and building increasingly capable militant cells across Southeast Asia. According to Western narratives, ISIS is doing this with funding drawn from hostage ransoms, black market oil, and meager revenue from "taxation" of its quickly shrinking territorial holdings in Syria and Iraq. 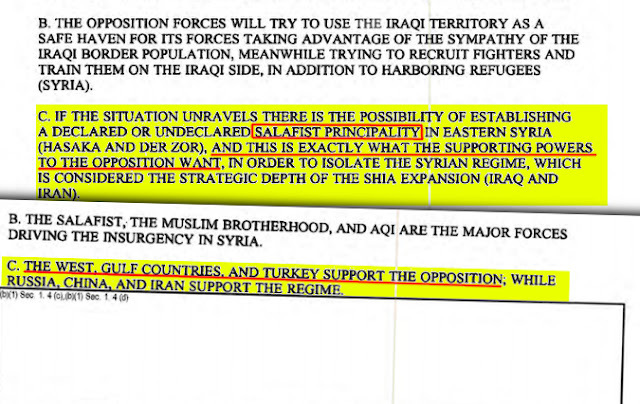 In reality, however, ISIS would not exist without constant and significant multinational state sponsorship. 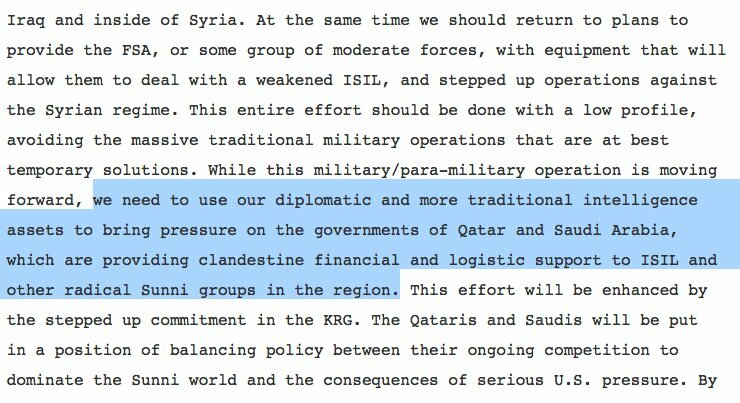 To answer which nations are providing ISIS sponsorship, one needs only to read the United States' own intelligence reports. The United State's own Defense Intelligence Agency (DIA) in a 2012 report that revealed ongoing plans by an American led axis to create what it at the time called a "Salafist" (Islamic) "principality" (State). 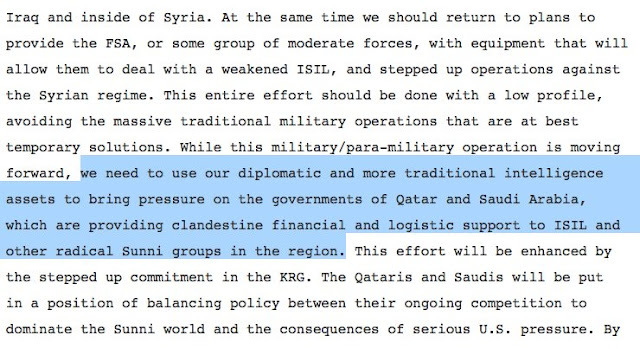 Leaked e-mails from presidential candidate and former US Secretary of State Hillary Clinton, also revealed senior US political leaders assigning blame for the state sponsorship of ISIS on America's closest Middle Eastern allies, including Saudi Arabia and Qatar. If ISIS is being used as a proxy by the US and its allies to coerce - even overthrow - the government of Syria and wage proxy war on Russia, Iran, and their regional allies, it stands to reason that ISIS' sudden presence in Southeast Asia as nations there increasingly pivot away from Washington is no mere "coincidence." ISIS finds itself in Southeast Asia because America's "pivot" to Asia has unfolded as a stumble, even a retreat. Despite bold declarations of primacy over Asia, the US has found itself in an increasingly bitter struggle with not only Beijing, but a number of nations seeking to rebalance power across Asia Pacific in favor of the nations actually residing in Asia Pacific. 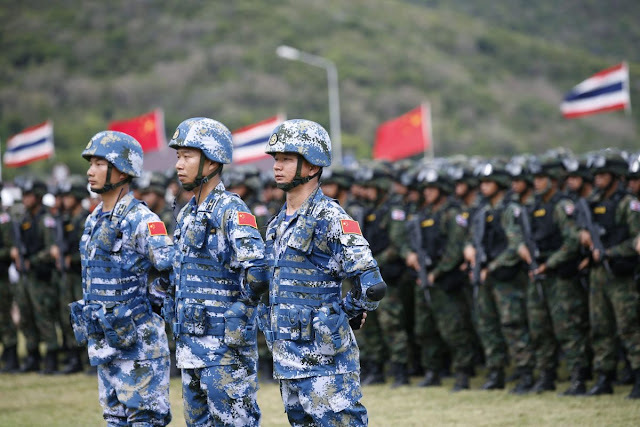 Just like a waning American influence in the Middle East has triggered regional attempts by Washington to destabilize, divide, and destroy what it cannot influence and exploit, a similar campaign is underway in Asia Pacific. US meddling extends from the Korean Peninsula, to the South China Sea, across Southeast Asia, and even beyond to the mountains of Afghanistan and the western-most borders of China. The common denominator is conflict - either threatened or incrementally unfolding - either between states the US attempts to pit against one another, or internally between indigenous political institutions and those sponsored by and for Washington. Understanding and exposing Washington's use of terrorism as a means of geopolitical coercion and expediency is the first step in removing this abhorrent tool from Washington's bag of geopolitical tricks. If each and every time ISIS or an associated terrorist organization carries out an attack, it only further implicates Washington and its counterproductive role in the region, it will only make America's retreat from Asia Pacific that much faster and absolute. What will be left for Washington is a quickly closing window of opportunity to reestablish its ties with Asian states on equitable terms respecting national sovereignty and ending the concept of "American primacy" anywhere but within America's own borders.